It's no secret that here at Lazy Oaf we all LOVE what we create, from T-shirts to tote bags, all our daily ensembles usually consist of at least one piece of Lazy Oaf, what can we say, we live, we breath it! So what better way to celebrate our up and coming discount event Lazy Eye On You, (happening this Saturday in the Shop!) than showing you guys how we wear it. But don't forget, on Saturday, we want to see how YOU wear it, we've got a feeling it might put us all to shame. ELLIE Shop Manager Ellie has teamed the White Tuxedo T-shirt with a polka dot cropped jacket and her personalised Red Cambridge Satchel Company Bag. 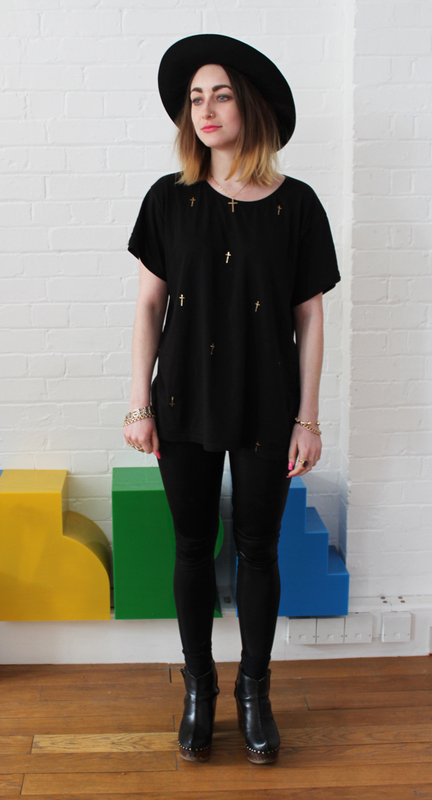 GEMMA Designer Gemma wears the Destinations T-shirt with the Pyramid Necklace, a chunky cardi, Vans and polka dot ankle socks. ALEX Graphic designer Alex teams the Crosses T-shirt with shimmery leggings, platform boots and her matching gold cross pendant. 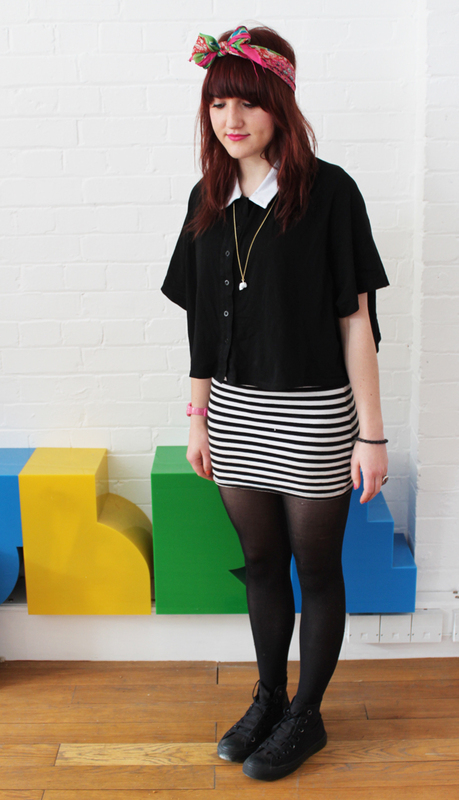 JERRY Marketing and PR girl Jerry is wearing the Mono Cropped Shirt over a stripey body con dress with the White Skull Necklace and Converse boots. 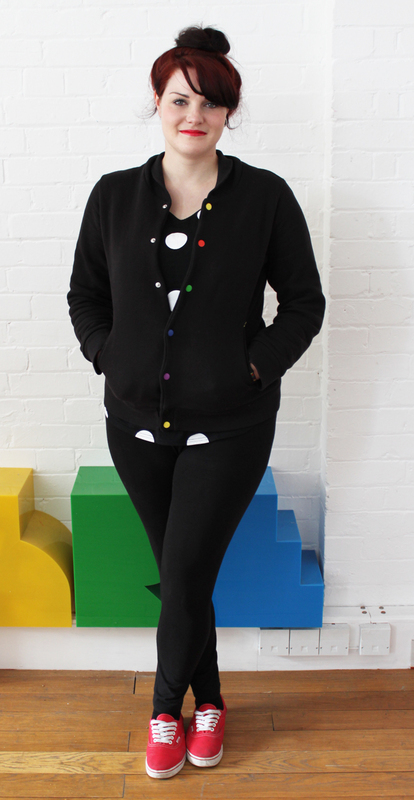 STEPH Shop girl Steph wears the Polka Dot Reversible Jumper tucked into culottes with grey tights and brogues. SHEVONE Wholesale Mananger Shevone is wearing the Polka Dot Reverible Oversized T-shirt underneath the Black Colour Buttoned Cardigan with leggings and red Vans to match her lipstick. If you think you can do better then come show us what you've got in store this Saturday 26th February. Click here for all the details.